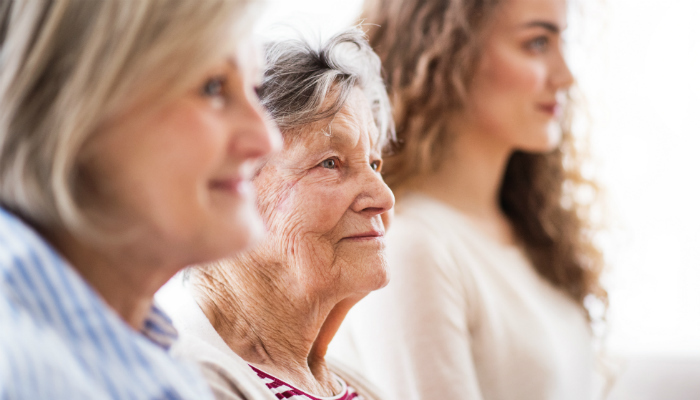 We’re breaking down the stages of finding long-term care for your loved one in this four-part series, including noticing the signs that it’s needed, talking about it with your family members, what the costs will be, and how to find the right option for your loved one. Part 1: What is Skilled Nursing, And Does My Loved One Need It? Few things can make people squirm like a tough conversation. It’s never easy to tell a person something they might not want to hear. That's especially true when it’s an emotionally-charged topic. And talking to your loved one about long-term care certainly checks those boxes. As with any difficult talk, planning and preparation are key so you can stay calm throughout. Once you've decided that your loved one needs long-term care, your next step is to talk with them. Follow these three steps to ensure a productive, positive conversation. It’s best to collect your thoughts before discussing your concerns with your loved one. This way, you’ll ensure you cover everything you want to and are prepared for any push-back. You’ll need to talk with other family members - siblings, nieces, nephews, or anyone who will be directly involved in your loved one’s care. Explain to them that you’re concerned about your loved one’s decline, and give examples of the signs you’ve noticed. In this conversation, and in the one you’re planning for your loved one, be respectful of other people’s thoughts. Listen without trying to think of a response. The goal is to make sure everyone is in agreement, not to win every argument. Chances are, your family members may agree with you that your loved one needs extra help. Remember that any resistance may come from feelings of guilt, discomfort, or avoidance. Try to diagnose these issues so you can all be on the same page. Everyone should agree that long-term care for your loved one is the best option. Ideally, you’ll talk to your loved one about long-term care before it’s an emergency. This gives them time to think about what you’ve said and not feel rushed to make a decision. But even if time is of the essence, try these tips to help the conversation go smoothly. Even if they’re aging and not able to do many of the things they once could, your loved one is still your loved one. Be respectful of their thoughts and wishes. And remember - feelings aren’t right or wrong; they just are. Don’t demand to know why they feel a certain way. Instead, accept it as valid, and talk about ways to reduce negative feelings. Unless there’s an immediate need for care, pushing your own ideas on your loved one will only cause tension and resistance. And in most cases, it’s illegal to force someone into skilled nursing without their consent. Even if it doesn’t come to that extreme, telling someone what to do doesn’t build goodwill. If your loved one is reluctant to talk about the issue, drop it for now and give them time to think about it. Revisit the conversation later, when tensions aren’t running high. Although it’s a difficult conversation, try your best to stay level-headed. Some families may be famous for their yelling matches, but this isn’t the time for that. By approaching the issue calmly, your loved one will see that you’re looking for the best outcome. Don’t be frustrated if your loved one wants more than one conversation to figure things out. Think about their perspective. This is an enormous life change - you wouldn’t make one without some deep thinking, either. Finally, don’t be afraid to be honest in this conversation. Remember the notes about feelings above? Yours are valid, too. If this discussion is difficult for you, admit it. You might find this helps bring you closer together. The goal of your conversation with your loved one is to decide on next steps. That may mean beginning to look at long-term care options, whether at a specific location or through in-home care. Or, it may be finding a dedicated family caregiver who will be responsible for your loved one. Whatever your decision, end the conversation by outlining the next steps that need to happen and when they should be complete. Instead, chart out objectives and map each one to a specific person and timeline. This will help everyone stay on track and keep decision-makers accountable. In the next section of this four-part series, you’ll get information on the costs of long-term care and how you can pay. Searching for a Long-Term Care Option? If you’re searching for a long-term care community with expert skilled nursing and a home-like environment, Otterbein SeniorLife may be the right answer. Find a location near you to explore the compassionate, person-centered care you’ll experience.